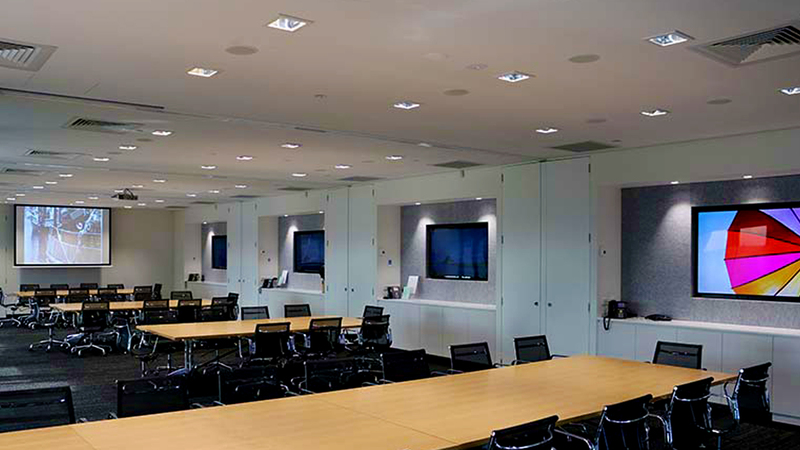 Rigby Cooke Lawyers. 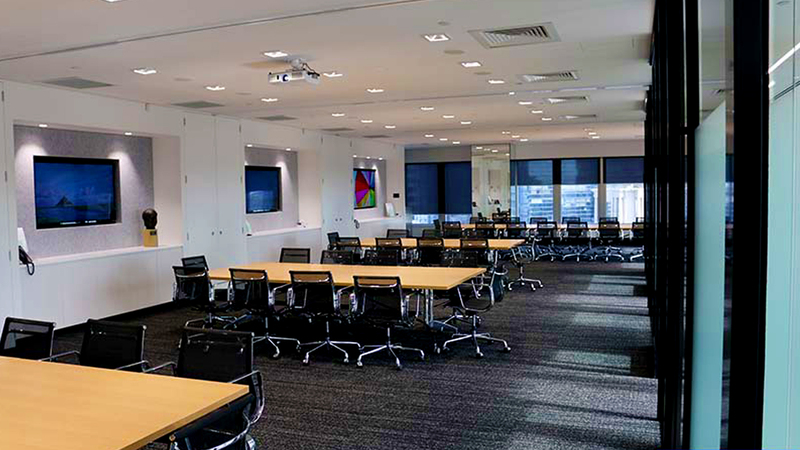 Main Boardroom, Meeting Room 1, Meeting Room 2, Meeting Room 3. 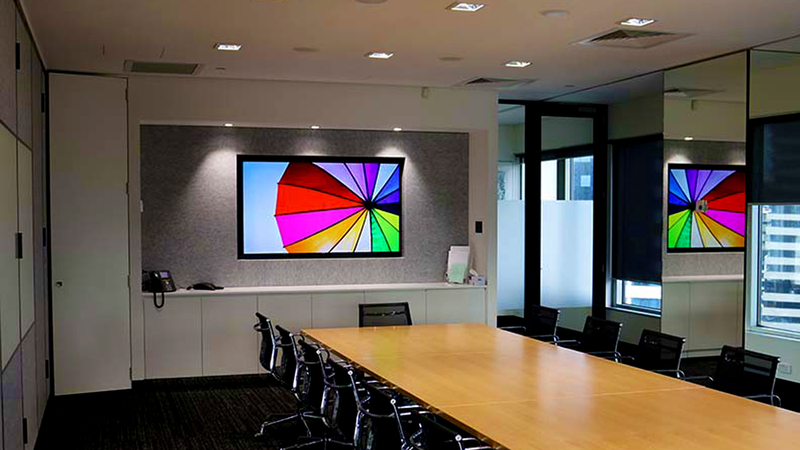 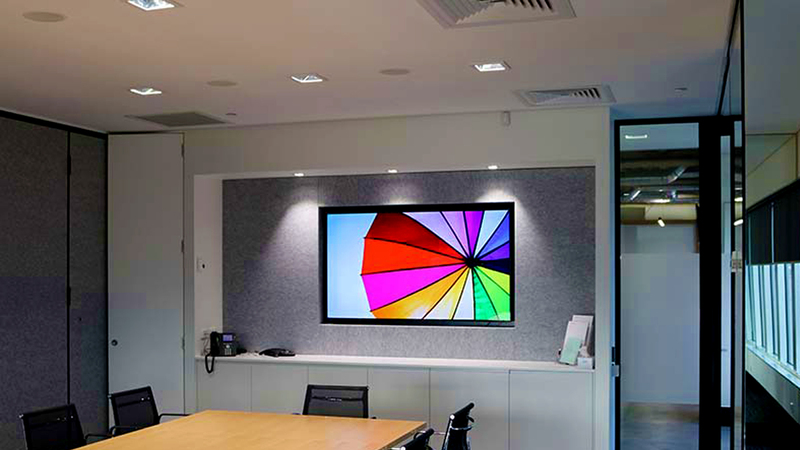 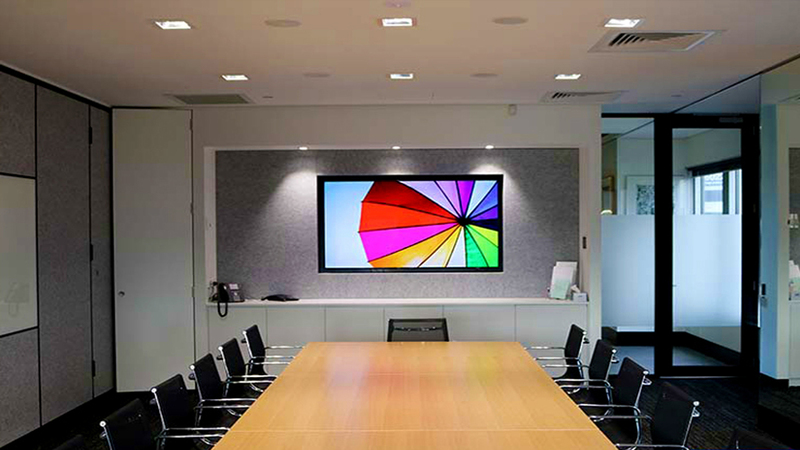 85 Inch Recessed LCD HD Panel in Main Boardroom. 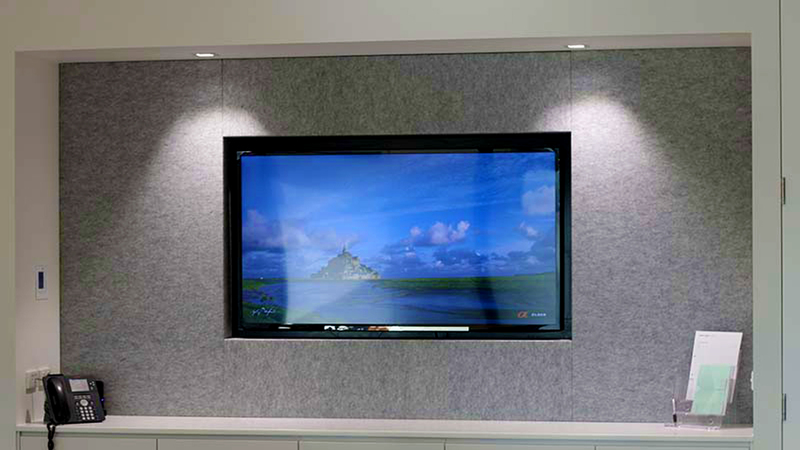 Meeting Rooms 1, 2, and 3 Have 65 Inch Recessed HD Panels. 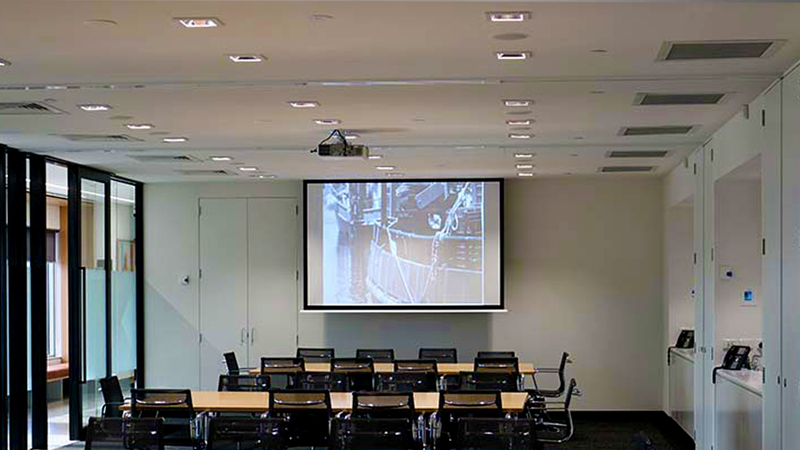 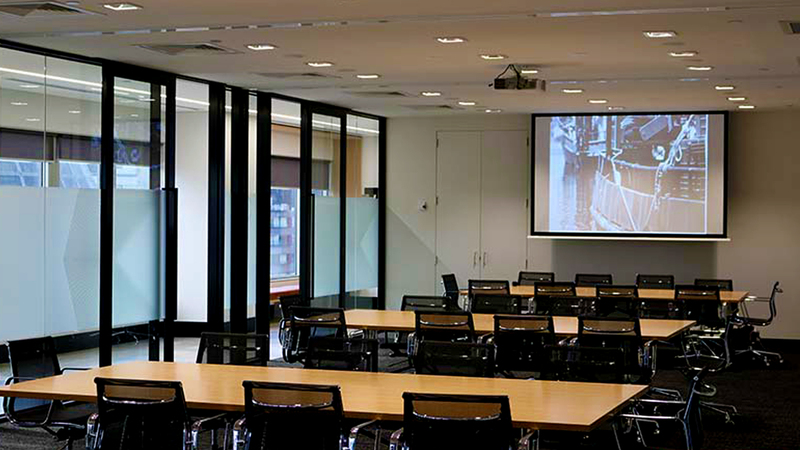 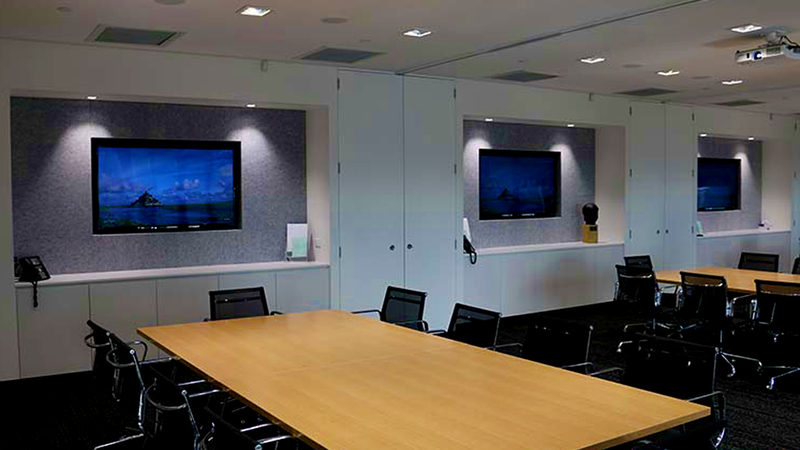 Meeting Room 3 Has 103 Inch 16:10 Motorised Projector Screen and HD Hitachi Data Projector For Merged Room Presentations. 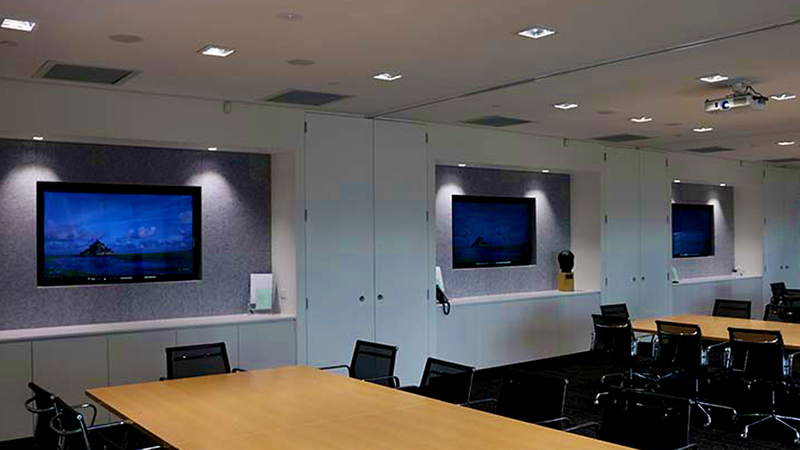 Audio is Achieved Via Recessed 8 Inch Speakers In Each Rooms. 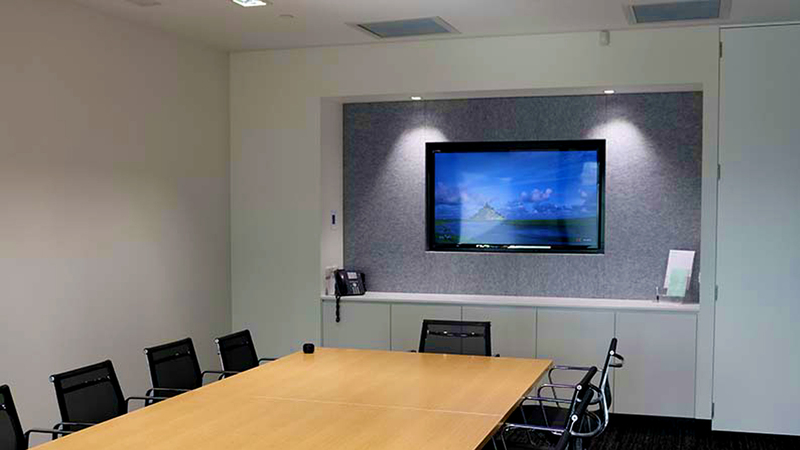 All Rooms are Controlled By Touch Screen RTI Control Enabling Individual Room Presentations or Complete Merged All Room Wireless Presentations From Android or Apple Devices. 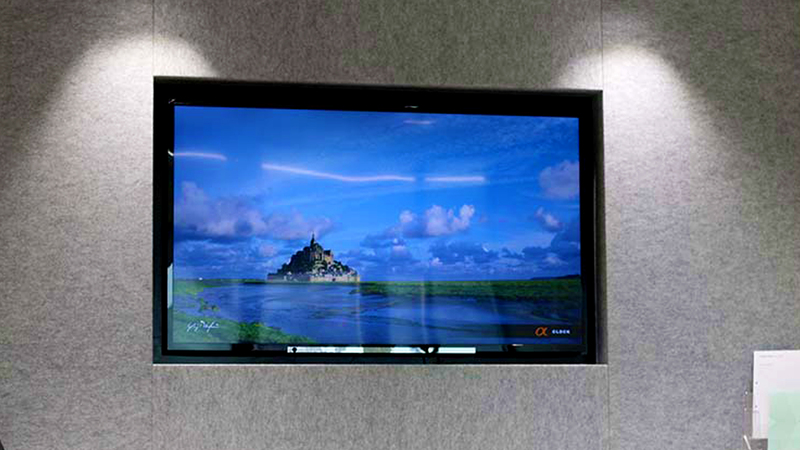 Complete Flexibility at a Touch Of A Button.